Sorry, this Belleek vase is now sold out, but it is available in a larger size. Please scroll down for the link. 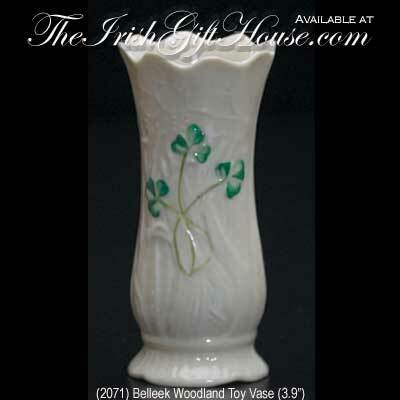 The Belleek woodland toy vase features an embossed design along with hand painted green shamrocks. The fine china Irish vase measures 4" tall and it is handmade and hand painted in Belleek, Ireland.